Why Jade Mountain St. Lucia? This may just be the best resort in the Caribbean. The prestigious Readers’ Choice Awards from Conde Nast Traveler say that it is — in fact it’s won the award for the past three years running! It’s not so hard to see why. 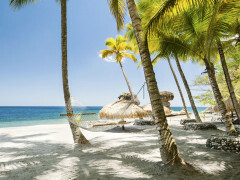 The location is awe-inspiring, set atop 600 acres of lush tropical forests and bordering two flawless Caribbean beaches with pristine coral reefs just off shore. 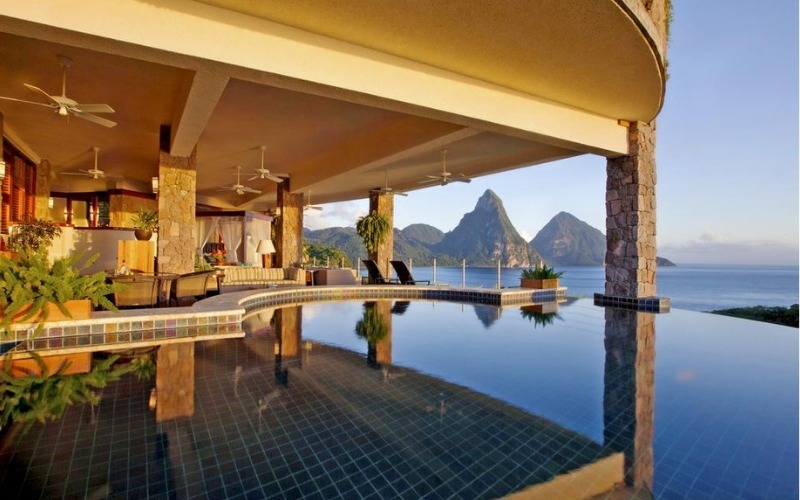 The resort is privy to an iconic view of both the Piti and Gros Piton mountains that rise up from the Caribbean sea. And the architecture, well, that’s another wonder in itself. Jade Mountain is built to blur the line between building and nature. You’ll find suites where bedroom, living room and private infinity pools seamlessly glide together to create floating platforms in nature. Even indoors you can see and feel the nature all around. What's So Special About The Jade Mountain Experience? 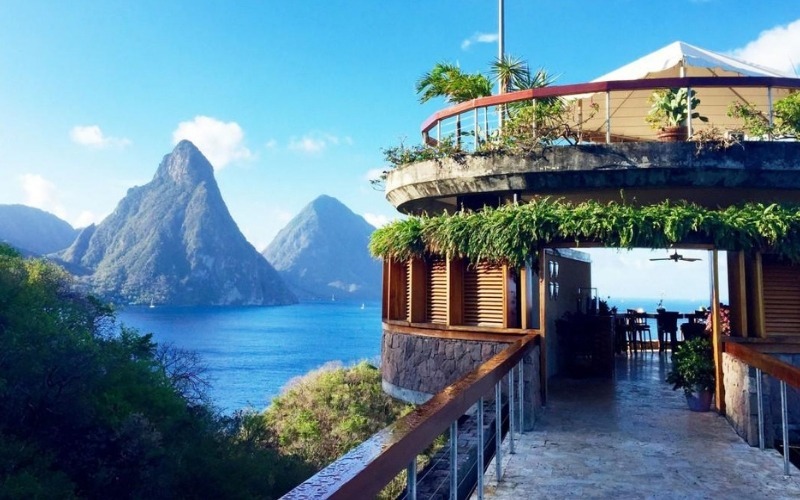 You'll get to admire the unparalleled scenic beauty of St. Lucia from the comfort of your own living space, dine at the award-winning Jade Mountain Club or star-gaze above it on the Celestial Terrace. The resort also offers a range of spa treatments and shuttle services to nearby activities and beaches. We think that’s enough said. So just one question then… What time is the flight?